The Essential Start-up Guide includes information about the things you need to do at the very beginning of your new business, such as choosing a name and working out the best legal form of business for you and your circumstances. It is the perfect companion to The Essential Business Guide and covers areas such as choosing a business name, registering your business, working out how much you need to earn, and so on. 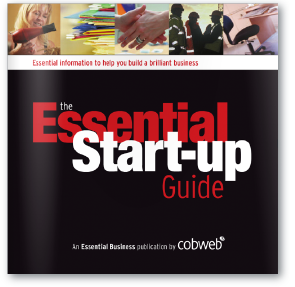 Download sample pages from The Essential Start-up Guide or take a look at the pages below. Click on the edges of any page below and they will turn automatically. Interested in using this guide with your clients or students?